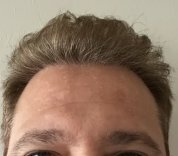 Revolutionary Replicel Hair Loss Treatment in 2018? Just wanted to take a moment to notify the community that I've decided to resign as forum moderator and assistant publisher of HTN after 7 and a half great years. This move was not one that I took lightly. It's been a long time coming and I felt the time was finally right to step away and explore other avenues. On parting, I'd like to express my gratitude to Pat and Bill, not only for taking a chance on me all those years ago, but for their continued support, kindness and generosity even as I expressed a desire to leave. One of the things I've found toughest about this job is facing the occasional suspicion and criticism from members (and I don't blame them for being cautious) who doubt your motives or sincerity. If you guys could see the passion and dedication to patient advocacy that goes on behind the scenes and is the heart of this community, I think you'd really be impressed. I know that when I first come here, I found the environment to be the friendliest and most educational and this is a testament not only to administrators but also to the phenomenal group of regulars that contribute every day. I'm not leaving entirely. I'll be here off and on to share my knowledge and experience but this account will be retired. I will eventually create a new one. Thanks to all of you that make this the best hair loss community on the Web! It's been a pleasure serving you.